Paranoia 2019 - What's in it for you? Cyber security is everybody’s business! Why Is Election Security So Hard? Norwegian businesses – a target for hybrid threats? Cyber-attacks – a threat to us all? Diana is the Cybersecurity Field CTO for Microsoft and a cybersecurity architect, executive advisor and author. At Microsoft she leverages her 25+ years of cyber-risk and security experience to provide advice and guidance to CSOs, CIOs and CISOs at some of the world’s largest companies and is a contributor to the Microsoft Security Intelligence Report (SIR). In addition to her work at Microsoft, she serves on the ACM Ethics & Plagiarism Committee, is an Industry Mentor at CyberSecurity Factory, and guest lecturer at Boston College’s Master of Science in Cybersecurity program. 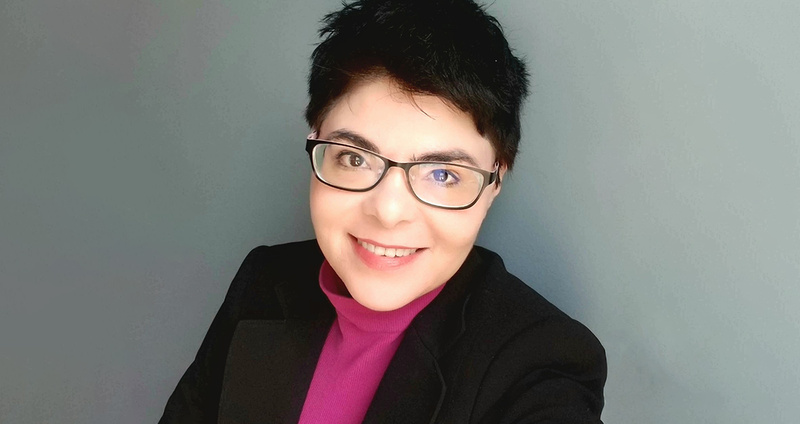 Diana is CTO and Director of the non-profit Sightline Security, a member of the RSA US Program Committee for 2018 and 2019, was an IEEE “Rock Star of Risk” in 2016, keynotes frequently at major conferences, and co-authored the book Cryptographic Libraries for Developers. She worked at IBM where she built and managed the IBM Security Research publication process. The security threat landscape is constantly evolving, and Microsoft has deep data insights from the 6.5 trillion security signals that we analyze every day to over a decade tracking and analyzing software vulnerabilities, exploits, malware, unwanted software, and attacker group methods and tactics via the Security Intelligence Report. In 2018 attackers used a variety of dirty tricks, both new (coin-mining) and old (phishing), in their ongoing quest to steal data and resources from customers and organizations. Hybrid attacks, like the Ursnif campaign, blended social and technical approaches. As defenders got smarter against ransomware, a loud and disruptive form of attack, criminals pivoted to the more “stealth” but still profitable coin-miners. Another area where cyber criminals increased their activity is the supply chain. One of the most notable, the Dofoil coin-miner outbreak hit on March 6, 2018, kicked off by a poisoned peer-to-peer app. Supply chain concerns went beyond apps and into the cloud and included malicious browser extensions, compromised Linux repositories, and multiple instances of back-doored modules. In this session we'll discuss the top insights from 2018 and provide recommendations for controls and strategies organizations can put in place to help protect and defend against the shifting sands of emerging threats. Looking backParanoia 2018 - The aftermovie31 speakers and 665 participants from over 10 countries. Big thanks to all attendees, you all contributed to the success of Paranoia 2018. Watch the aftermovie here!